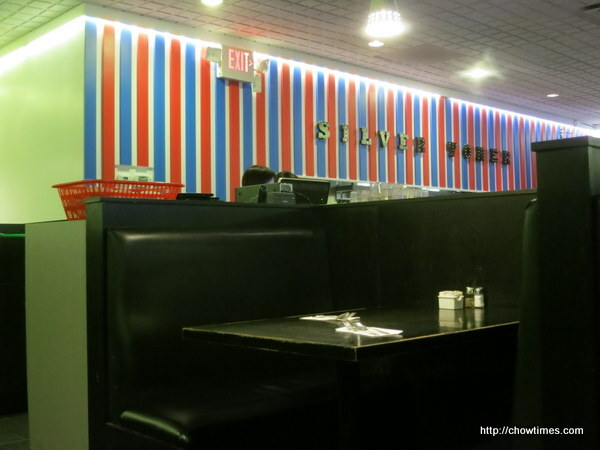 My family has not been to Silver Tower Cafe for dinner for a while, simply because finding a parking in this strip mall is quite slim. We were lucky this particular weekend as we found one right in front of the restaurant when we arrived just after 5PM. One of the most likable feature of Hong Kong cafe is the free drink that comes with your meal. 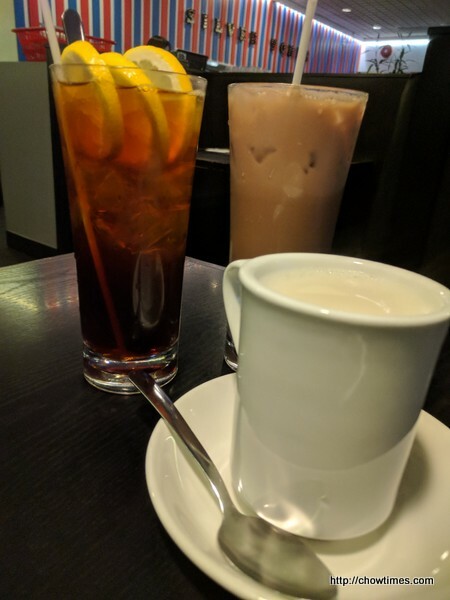 I had a hot almond drink while Ben and Nanzaro had a cold chocolate drink and iced lemon tea respectively. Silver Tower does not charge extra for cold drink, a plus point. 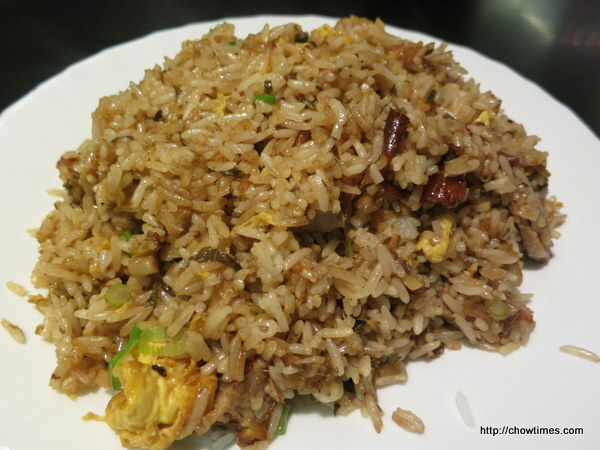 Nanzaro ordered the Duck Meat with Preserved Vegetable Fried Rice. The serving is big. Ben and I shared two orders. 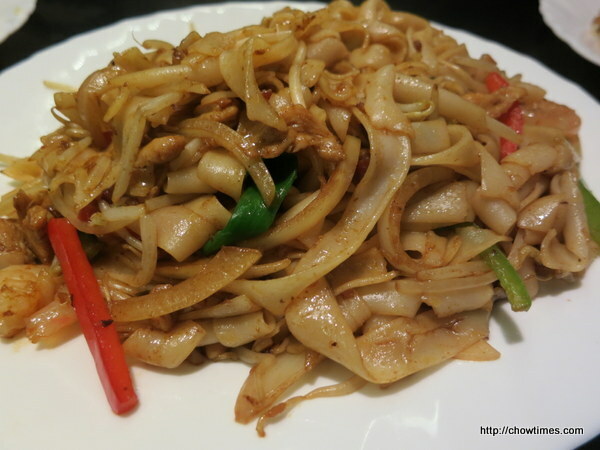 The one above is Malay Belacan Rice Noodle. The belacan flavour was mild and it was not oily. 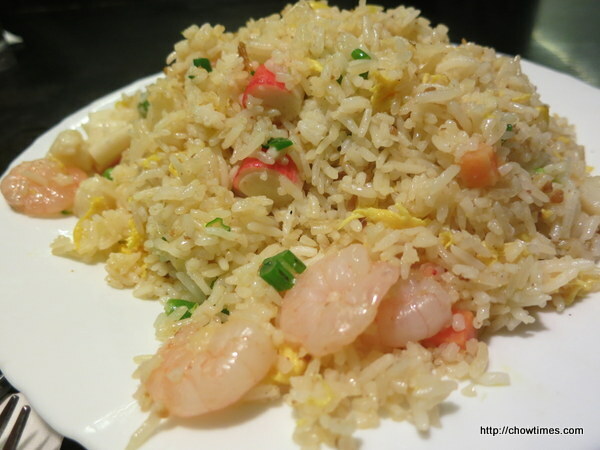 We also shared a XO Seafood and Pineapple Fried Rice. To tell the truth, one dish is enough for Ben and I. 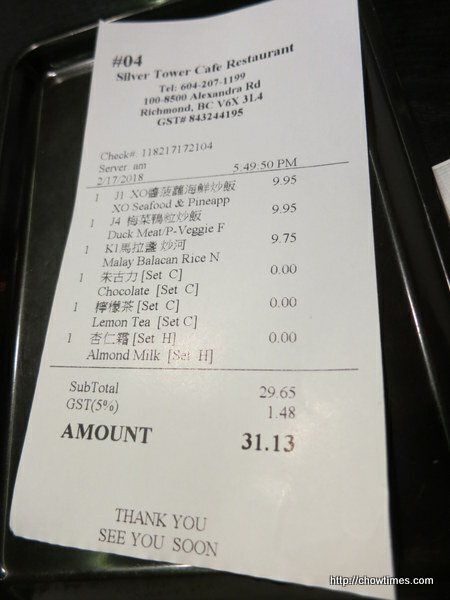 But, we felt not too nice to order two dishes only when there were three of us at the table. So, we ordered three dishes and packed the leftover fried rice home for Arkensen’s supper. Silver Tower accepts cash only. Hong Kong style cafe is our comfort place to go to.